After signing a bill and testing out a few guns at a shooting range Friday, Gov. 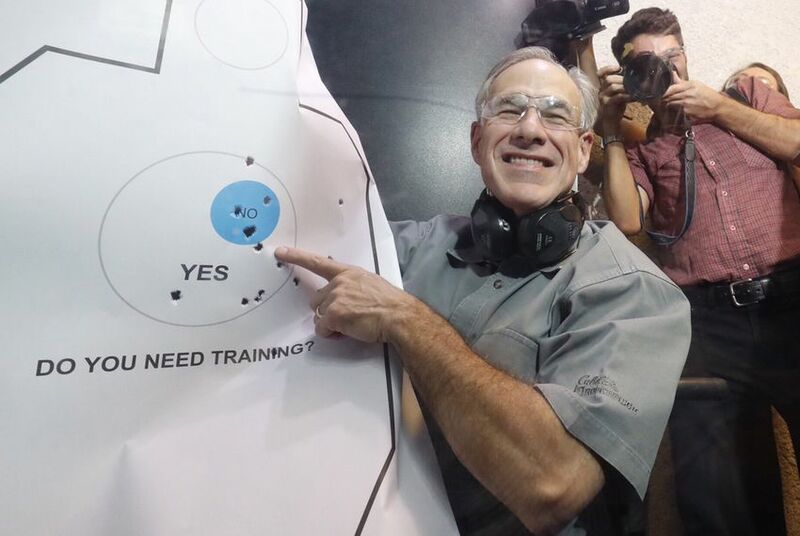 Greg Abbott held up his bullet-riddled target sheet and joked, "I'm gonna carry this around in case I see any reporters." "The right to bear arms is something that is synonymous with the state of Texas. We are proud to expand the right to bear arms by lowering the cost of what you have to pay in order to get a license to carry," Abbott said. "Texans' ability to bear arms is going to be even bolder today than it's ever been before." The law, Senate Bill 16, reduces the first-time fee for a license to carry from $140 to $40 and the renewal fee from $70 to $40. A license to carry permit is valid in Texas for five years. The new fee will go into effect on Sept. 1. "I'm gonna carry this around in case I see any reporters," Abbott joked while holding his bullet-riddled target sheet. The fee paid by license-to-carry holders covers the Department of Public Safety's cost to administer the license program as well as $27 needed for county, state and federal background checks, according to the measure’s author, state Sen. Robert Nichols, R-Jacksonville. “They’re getting these licenses from out of state because our fees are so high. So what we want to do is remove that incentive,” Nichols said when his measure passed the Senate. "It's unbelievable [that] Texas is one of the most costly states in the United States of America to get a license to carry," Abbott said Friday. "No Texan should be priced out of their way to defend themselves." Abbott believes Texas shouldn't impose any fees on licenses to carry handguns, a spokeswoman said in January. In the Senate, Lt. Gov. Dan Patrick granted the bill "priority" status. The measure includes an amendment by state Rep. Jeff Leach, R-Plano, that waives the fee for peace officers to get a license to carry a gun. 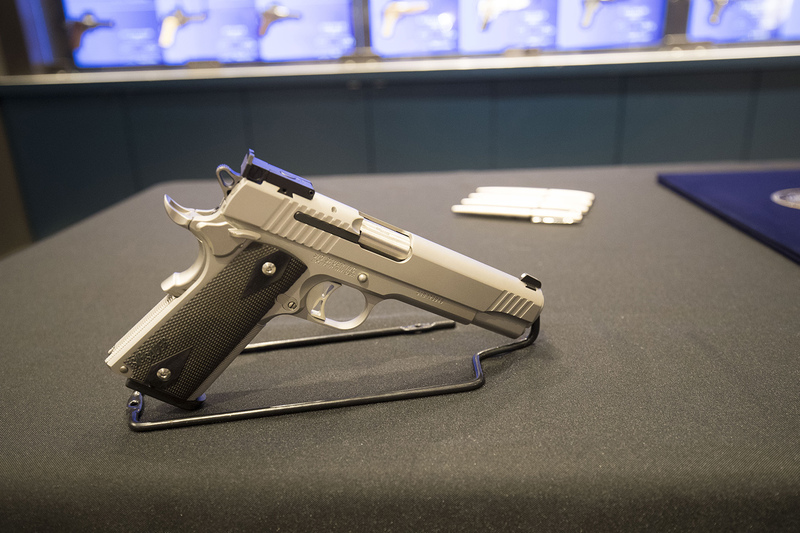 Only Illinois and Arkansas now have higher fees to obtain a license to carry a handgun, Nichols said. Reducing the fee is expected to cost the state roughly $12.6 million in 2018.